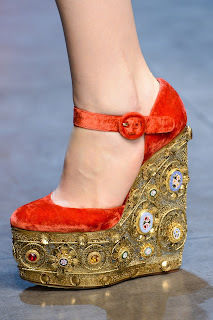 While recently scrolling my favorite blogs for news from NY Fashion Week and perusing Pinterest endlessly, I came across this beautiful image of a shoe with the tag "Dolce & Gabbana Fall/Winter 2013" and thought I just HAD to look up the collection. Wow...I was not disappointed. 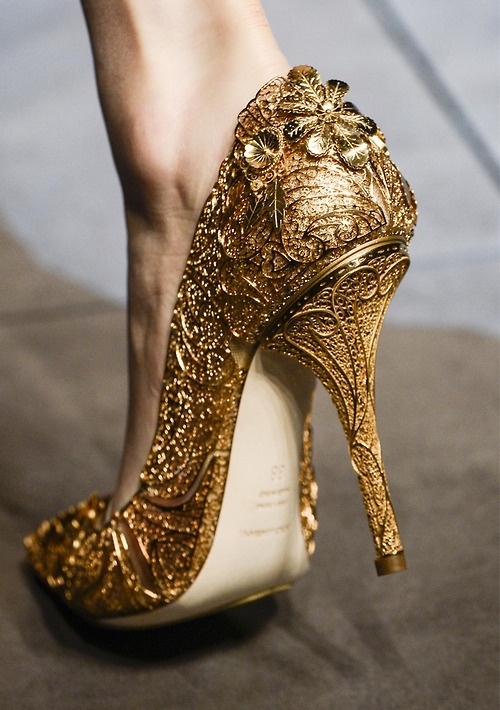 It was actually the Winter 2014 collection that this shoe was from, and while not from a haute couture collection, it was unbelievably beautiful, inspiring, and breath-taking. You can view the whole fashion show lineup on their website here,but beware you will find yourself lost in the beauty. The simple detailing and construction techniques that went into these pieces is astounding. Because I love the 50s silhouette this first photo was my favorite piece, but each piece was wearable and so terribly chic. It's been so long since I've seen something so beautiful, I'm just about at a loss for words. I'll let the photos speak for themselves. Really though the whole collection is worth looking at for hours on end. The detail warrants it. Anyway it got me talking to a fellow clothing lover and fashion lover who mentioned a video I'd like to share with you. It's a 45 minute documentary from the BBC on the making and wearing and collecting of haute couture. 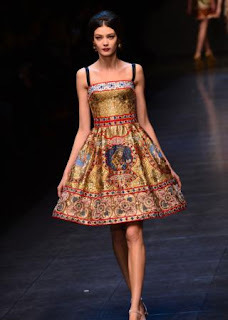 Dolce and Gabbana have only been doing haute couture for about a year, and from what I hear it's out of Italy and not Paris...but let's not get picky here. Watch the video, it's enlightening, and if you've ever tried on a beautifully made, astounding piece of clothing that fits you perfectly, you know why these women collect the garments the way they do. 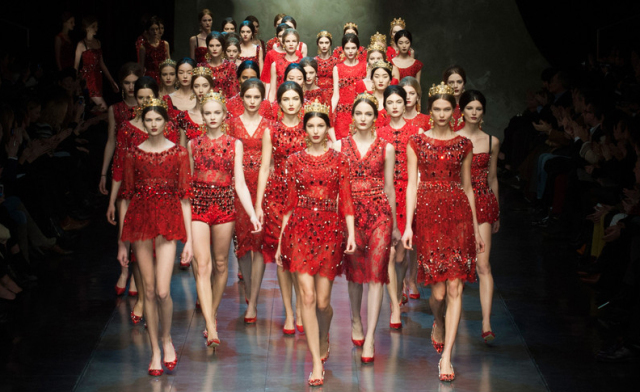 What was your favorite item from the fall runways?? ?